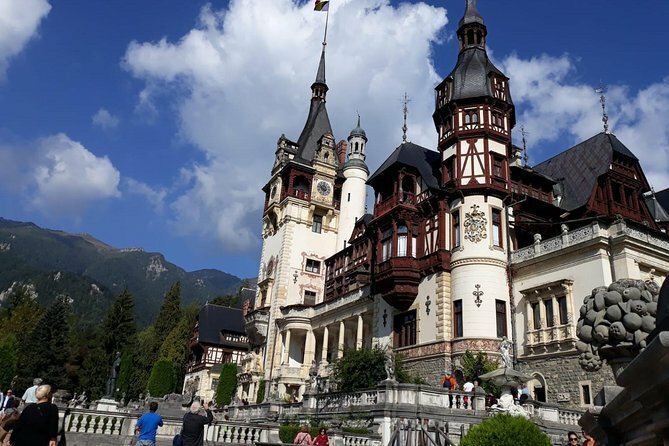 Take a break from the capital and visit Peles Castle, the royal residence and one of the most famous castle in Romania. Also visit the biggest salt mine in Europe, Slanic Prahova. In addition to being Europe’s largest, this salt mine is also known for its remarkable combination of both man-made and natural beauty. Take a day drip with us in one of the beautiful region in Romania Country and you will spend a magnificent day! Peles Castle is located in Sinaia City. The town was named after Sinaia Monastery of 1695, around which it was built. King Carol I of Romania built his summer home, Peleș Castle, near the town in the late nineteenth century. Peles Castle is a masterpiece of German new-Renaissance architecture, considered by many one of the most stunning castles in Europe. Peles Castle was the first European castle entirely lit by electrical current. Known as the biggest salt mine in Europe, Slanic Prahova stands today for one of the most important watering and climatic resorts in Romania.Unique in the country, but also in Europe, the salt mine is formed out of 14 rooms, trapezium shaped.The ventilation is naturally made, and the 12 degree C temperature is constant throughout the whole year. The humidity of the air is circa 50% and the air composition in the mine is richer in sodium ions that have spectacular ameliorative and prophylactic effects, what the breathing deficiencies and diseases are concerned. Also, in the salt mine there have been arranged playing grounds, a sports ground, a room with tables for billiards and a bar room.